Who doesn’t need more kindness? Social connectivity is a fundamental need. 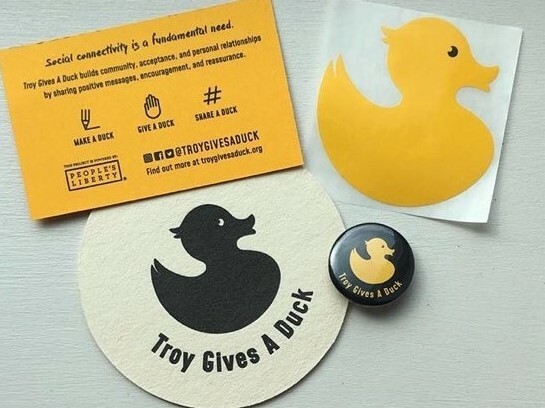 Troy Gives A Duck creates community, acceptance, and personal relationships. This happens by sharing positive messages that put a smile on someone’s face. As a twenty-year-old with developmental disabilities, one of Troy’s gifts is his ability to break down social barriers to connect with people, to see their good side, and to provide reassurance. Explore our site and social media for how Troy Gives A Duck makes this happen.